Fumi Nagasaka’s third and latest book Teenage Riot documents the “quiet riots” of girlhood. 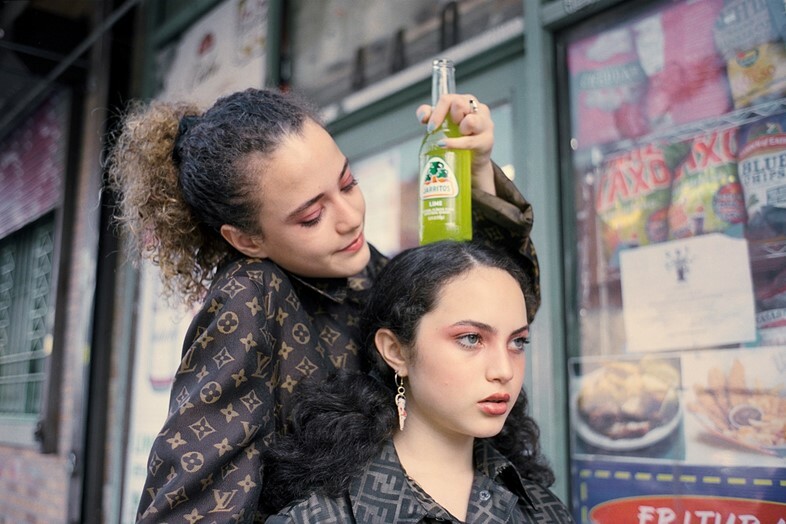 Following on from 2016’s Untitled Youth – which featured a large collection of the Dazed photographer’s teenage street portraits – it marks out an evolution in her journey. Born in Japan and based in New York, Nagasaka is renowned for her honest and sensitive imagery, celebrated for her ability to capture the essence of a person who is in front of her lens for only a few seconds. For Teenage Riot, Nagasaka chose to drill down into the lives of a four girls – based in Canada, America, and Japan – as they shift from adolescence to adulthood. By focusing her energy in fewer places, she says she was able to “push boundaries to capture something personal”, adding that “trust is so important to be able to do that”. Over the past few years, Nagasaka visited Maxine, a student living in a small town in southern Ontario; sisters Isabella and Alana from Bushwick; and Fubuki, a young student from Tokyo, to photograph them in their personal environments. A three-part compendium of youth, Teenage Riot presents “not only the ephemeral beauty of the moment, but the ever-changing conditions that culture, environment, and fashion have in forming one’s social identity”. Ahead of the book’s launch tonight at the New York Art Book Fair at MoMA PS1, Nagasaka speaks about what drives her to capture youth and the importance of intimacy when doing so. Why are you so drawn to photographing teenage girls? Fumi Nagasaka: Because they are in the middle of growing up from “girls” to “women” and have curiosity in themselves and everyday life. Those four girls are very different but they each represent teenagers in different ways which is why it’s very interesting to put them together in one book. Do you see elements of your self reflected in them? Fumi Nagasaka: Yes, especially Fubuki. It reminded me of me when I was her age. She is a better (looking) version of myself. I really liked that she is pure and innocent but has some kind of secret and strong spirits inside of her that she doesn’t know about yet. With Maxine, Alana and Isabella, I wish I was like them when I was their age. Maxine loves Kim Kardashian and Paris Hilton, wearing Juicy Couture, and watching Victoria’s Secret (runway show). It’s how I got interested in her when she was 16, and that was the beginning of how I started this project. How long do you usually spend with these girls in order to create such intimate images? Fumi Nagasaka: For example, with Maxine, I visited her twice in Canada when she was 16 and 17. Even in these two years, I saw her growth. I noticed that she changed a lot; her style, her mind, her interest, her personality changed. It’s important to spend time and build trust and relationship with the girls so they can open up to me. As an artist, I also needed to push boundaries and capture something personal – and trust is so important to be able to do that. Why did you choose to document specifically in the US, Japan, and Canada, and also why only these three countries? Fumi Nagasaka: I was interested in those girls and they happened to live in those places. But I really believe that the locations are also telling the stories about them and that where they live affects their personalities. The peaceful images feel at odds with the word ‘riot’ in the book’s title, why did you choose that title and how does it encompass the images we see? Fumi Nagasaka: The “riot” in the title doesn’t mean big riot, it’s more about the small riots in each girl life. It’s not really visible, it’s more something that they have inside of them. Each of the girls are so different, so their “riots” are very different. How does this book evolve from Untitled Youth? Was it a conscious evolution that you wanted to set in motion or did it happen naturally as the years go on and your work progresses? Fumi Nagasaka: I think Untitled Youth created a base for my photography. I focused on each of the kids and captured their characters and natural beauty as teenagers, without any other bits of information surrounding them or myself. It was very simple but deep. A lot of images I shot were against simple walls because I didn’t want to add anything to the images – just be focused on the kids. After I published it, I started to see things on top of those images, so what I’ve been shooting lately is kind of an extended version of that idea (Untitled Youth), but adding stories and a contemporary vision. It’s kind of natural but very interesting for me that I’ve changed to what I do now. I wouldn’t be doing what I do nowadays if I didn’t have Untitled Youth project.